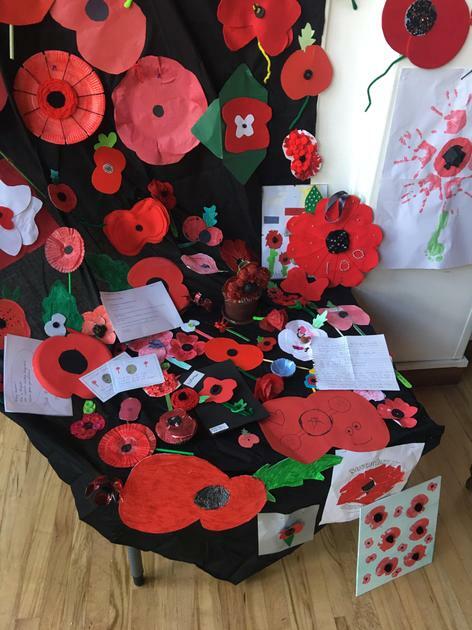 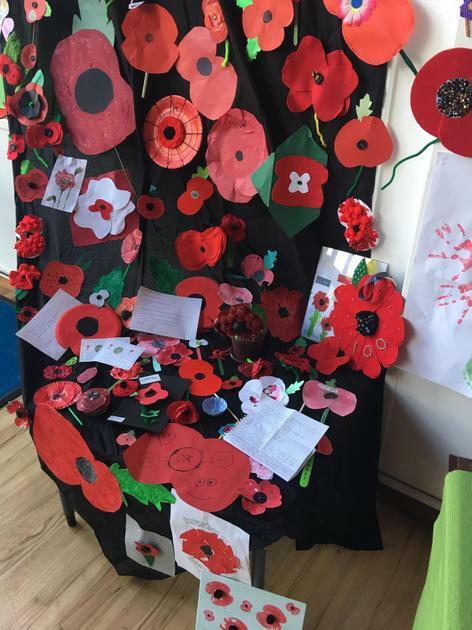 As part of learning about remembrance this week, the children had the opportunity to design and make their own poppies at home. 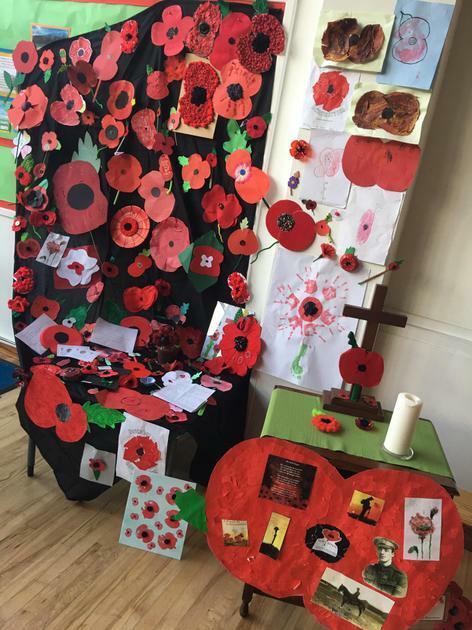 During Thursday's Key Stage worship all of these poppies were displayed. 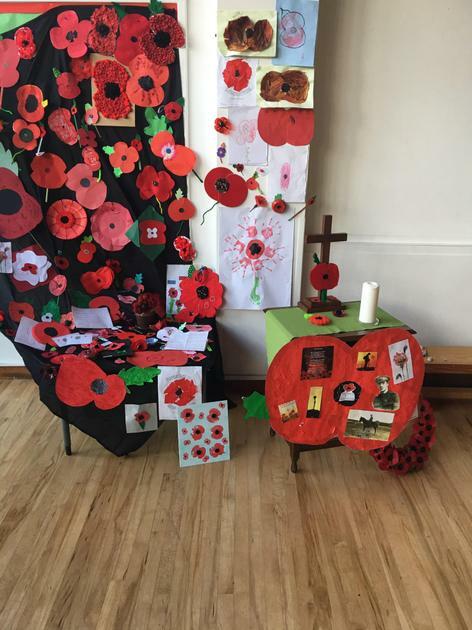 We also discussed what the poppies represented and remembered some of our relatives who had fought during the First World War.